NWSA and the University of Illinois Press are pleased to announce the winners of the 2018 First Book Prize! 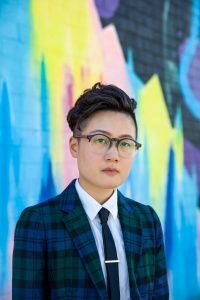 Wen Liu’s Assembling Asian America: Psychological Technologies and Queer Subjectivities is an insightful, thought-provoking, and well-written book-in-progress. The book manuscript grows out of Liu’s dissertation, “Cruising Borders, Unsettling Identities: Toward A Queer Diasporic Asian America.” Assembling Asian America is at once interdisciplinary and transdisciplinary. Although social psychology becomes an anchoring for analysis, Liu carefully brings together multiple methods, theoretical frameworks, and conceptual paradigms to provide a refreshingly original examination of contemporary Asian American-ness. This book manuscript provides a multipronged analysis of political agency as well as of “Asian American” as a distinct cultural and cognitive population. Nishant Upadhyay’s Indians on Indian Lands: Intersections of Race, Caste, and Indigeneity, is a powerful proposal for a book that grows out of the author’s 2016 dissertation, “We’ll Sail Like Columbus”: Race, Indigeneity, Settler Colonialism, and the Making of South Asian Diasporas in Canada. Upadhyay’s ground-breaking analysis of South Asian diaspora powerfully challenges the hegemonic focus on dominant caste experiences of racial victimization to the exclusion of South Asian diasporic complicity in reproducing settler colonialism, anti-Blackness and casteism. 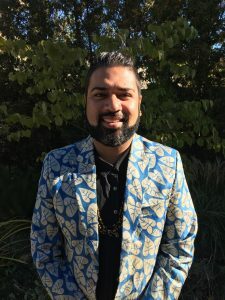 It is a remarkable instance of how feminist scholarship advances non- disciplinary thought and practice by holding anti-settler colonialism, anti-Blackness and anti-caste analytics together, whilst making a contribution to post/colonial studies, transnational feminism and South Asian diaspora studies. NWSA will be recognizing all award recipients at the 2018 Conference Awards Toast to be held Friday, November 9 from 6:00 – 6:30pm in Salon East, Hilton Atlanta, 2nd floor. Treva Lindsey, Colored No More: Reinventing Black Womanhood in Washington D.C.
For more information please see the NWSA website.